The Kid Who Grew Up To Be a Legend: Ken Griffey Jr.
Ken Griffey Sr. – a recognized player from MLB fathered George Kenneth Griffey Jr. or “The Kid” and “Junior” as he was popularly known. With a former MLB star to guide his progress, Ken Griffey Jr. had the right background to make waves in modern baseball. However, the Kid did not rest on his dad’s laurels, but went to establish his own credentials to become one of the greatest players American baseball has ever seen. 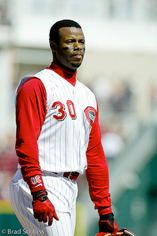 Born on 21 November 1969, Junior spent 22 seasons in MLB featuring for three clubs between 1989 and 2010. 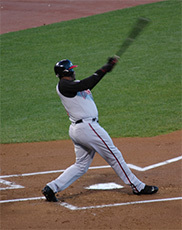 Renowned for his thirteen appearances in the All-Star Game, Ken Griffey Jr. was among the most prolific hitters of the home run. His exceptional fielding skills made him one of the most sought after players of his time. His image often went before him, as he received lucrative deals from huge companies such as Nintendo and Nike. He is best remembered for his time with Cincinnati Reds and Seattle Mariners, and his magnificent achievement of 630 career homers. At just eighteen years of age, Junior made his appearance in MLB during the 1989 season and wasted no time in becoming the Mariners’ most loved son. His energetic and flashy style of play made him an immediate hit in the league. Several baseball analysts believe that Junior changed the outfield play, thanks to his incredible ability of covering large areas. His magnificent wall climbs and home run steals made him an outfield player that comes around once every blue moon. Between 1990 and 1999, the kid won ten Golden Gloves – a record that will perhaps stand untouched for many more decades. He received the award for Silver Slugger seven times, and was also the Most Valuable Player in 1997. His 630 career homers make him the fifth highest home runs scorer in history, but the story of his career would have been entirely different, if not for his injury-prone body. Many believe that he could easily have topped the highest home runs list if not for physical problems. What separated Junior from the rest of the stars during his time is that he was never accused of being involved in any steroid scandal, despite the fact that others like Barry Bonds found themselves in deep trouble. Although he did not hit the ball as hard as most players, his pure and smooth swings, along with clean ball contact made his a gifted slugger. The manner in which he carried himself on the ballpark is truly commendable. His infectious smile and a cheerful attitude in the most crucial situations displayed just how much he loved the sport. His enthusiasm while fielding made him a role model for thousands of children. On 31 August 1990, when he played for the Mariners along with his father, it became the only father-son duo to represent the same team on the same day – a record that was never imagined before, delivering immense pride to both Griffeys, and their family.